WhatsApp is currently the most popular social messaging app in the world with over 100million active users monthly. Last year, the app was updated with lots of new features such as the Group Invite Link GIF support, document support and many more. 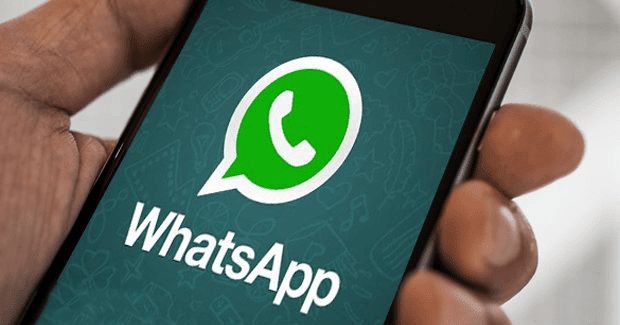 This year, WhatsApp has already started working on some other new features and one of them is called Live Location Tracking. This new feature will allow you to track the location of any group member in real time. It uses the GPS positioning of the smartphone to track your contact and you can set the tracking time to either 1 minute, 2 minutes, 5 minutes or indefinitely. What makes it even better is the fact that this feature is optional, which means you can disable if you don't want your group members to know your current location. It also comes deactivated by default, so you have to activate to start using it. 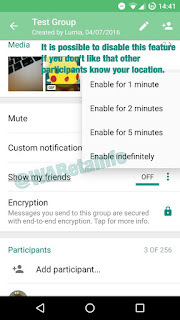 Although this new feature is said to be available on Android and iOS WhatsApp beta (version 2.16.399 and version 2.17.3.28 respectively), there is no official date yet as to when it will be rolled out to all users.